Every so often, someone will say something during our conversation that will have me deep in thought for weeks. One such conversation happened a little over a month ago. We were just chatting like normal about our lives and what we’ve been up to. She doesn’t come in very often so we had a lot to catch up on. She wanted to know how the business was going since my most recent move, how the church was going, how my family was…. all the normal things my clients who know me ask when they come in. 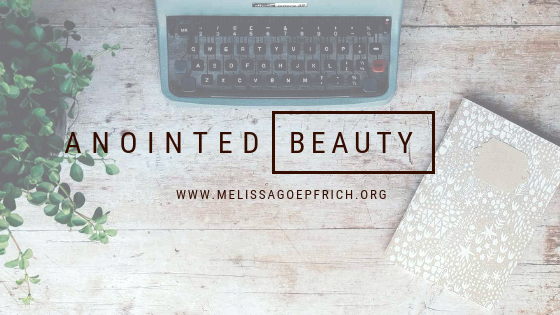 I started sharing with her some of the things I’d been working on for my business as well as some of the goals I have in regards to my ministry and calling. Her next question to me just will not leave my brain. She seemed very impressed by my dreams and ambition. Then she asked me “how does your husband handle you being so driven? Is he supportive of you? 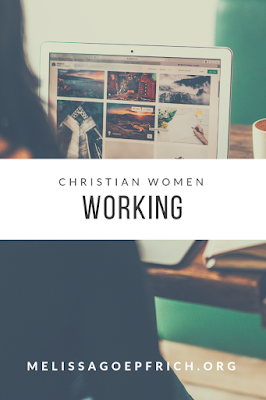 ?” I won’t share every detail of the conversation that followed, but the idea that a Christian woman is not allowed to have her own calling, dreams, or ambitions apart from pouring solely into her husband’s makes me so very sad. 1. I don’t cook anymore. When I did cook it was anything that could be taken out of a box and tossed in the oven for 30 minutes or eaten cold. Occasionally, I can pull out a nice 3-course meal with dessert. 2. I don’t do the daily cleaning. My husband and I taught our kids to clean and they are responsible for the “normal” daily chores plus whatever extra cleaning we ask them to do. I do deep cleaning as I’m able… not that often. 3. If my kids don’t tell me about an activity (or more likely the school doesn’t announce something) and I already have appointments booked, there’s a good chance I won’t be making that activity. 4. My kids weren’t involved in every sport and activity they wanted to do. (They weren’t involved in everything I wanted either) Most activities outside of school would require Sunday involvement and that is a non-negotiable in our home. 5. My husband and I are madly in love with each other. He supports everything I have ever set out to do, and I support him just as much. We are a team. He loves me deeply, I respect him immensely and submit to his leadership in our home. Our marriage is strong and healthy. We have weathered many, many….many storms together and are stronger for it. 6. My kids are absolutely amazing! We get complimented ALL THE TIME about how awesome, respectful, mature, well-rounded, and amazing they are. I am not a perfect parent, but I know that they are loved by a perfect God and I pray consistently for my children and have since before they were even born. 7. I still feel insecure, inadequate, and inferior. I second guess myself all the time largely due to the “comparison game” that God is still teaching me to quit playing. 1. The Bible does not say anywhere that women can’t work or can’t be called to ministry. In fact, there is much support to the contrary. We’re going to look at these passages together and measure our foundation based on biblical truth. 2. You are not inferior. Staying home with your kids, homeschooling, having your hair and makeup done every day, cooking and cleaning all day every day, keeping the laundry done, creating crafts, having play dates, putting your kids in every fun activity they want to do….. None of these things will make you a better mom. 3. Ignoring a call to a career or ministry is disobedient. We must follow the Lord’s leading in our life and teach our children to do the same. 4. You can follow your calling without sacrificing your ultimate calling as wife and mother. 5. There is a right way and a wrong way to follow your call. Beware of the traps the enemy will set up for you. 6. I want to share practical tips to keep a healthy marriage and family as you pursue whatever it is God is calling you to do. If you are a working woman who feels like you’re not good enough, I hope that you will join me in this journey. I hope that you find the encouragement and support that you desperately need. I plan to write a new post every Monday, so make sure you sign up for email notifications to receive new posts as they are uploaded! Just click the "follow" button at the top of the right sidebar. Trying to work out when you have an auto-immune disease that primarily attacks your nerves and muscles can be nearly impossible. If I don't work out, the scale keeps climbing and the extra weight amplifies the symptoms of the disease building a vicious cycle of trying to stay as healthy as I can. I started up again a few months ago and could barely make it through 3 minutes on the Elliptical and IF my muscles were up to it I could lift between 25-30 pounds on any given weight machine. Gradually, I was able to increase those numbers to 10 minutes on the Elliptical and 80 pounds on most machines! I was so proud of myself to see growth! Then, we went to New York City for a week. Didn't work out while I was gone other than a few squats a day to make myself feel like I was doing something. Then, we had to replace our washer and dryer and decided to paint the laundry room when we returned. Didn't work out that week either. Then, I went with my husband to a weekend martial arts camp he was leading. Didn't work out again. When I finally got settled into my normal routine, I went back to the gym and was so discouraged that I had declined in what I was able to accomplish! Thankfully, this break in workout was fairly short and it didn't take me very long to get back to where I was before. Today's workout was back to 10 minutes and 80 pounds! As I was reflecting while I was pushing myself this morning, I was reminded that this is exactly how our spiritual walk goes. When you accept Christ as your personal savior and become a Christian, you begin a spiritual journey called sanctification. As you learn and grow in your walk with Christ, your spiritual muscles are being trained and getting stronger. Just like my auto-immune disease though, your sin can fight against your growth if you allow it to. Unlike my auto-immune disease, there is a cure for sin and as a Christian you can have complete healing and victory over your sin! If for some reason you do stop learning and growing, your spiritual muscles get cold and weaker so you have to kick start them again. Just as in physical exercise it's necessary to stay faithful and consistent in your spiritual growth. If your spiritual muscles are weak and cold, here are a few baby steps to get you going again in your spiritual strength training! 1. Make a commitment now to attend a church that preaches the whole truth of the Word of God, not "feel good" preaching. Then, go to church no matter the excuse. 3. Grab a $1 tablet from the store and schedule 15 minutes a day to write out your prayers to God. 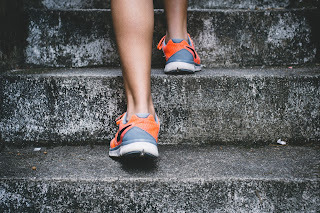 If you do these 3 things, faithfully, you will QUICKLY see yourself growing by leaps and bounds and your spiritual muscles getting stronger and stronger. That 15 minutes will quickly turn into an hour before you know it. As you grow, push yourself more and more by doing deeper Bible Studies, listen to sermons online, listen to christian music, join a life group, serve in your church.... whatever your next step is, take it. If you fall away for a time, get back to it as quickly as you can. The longer you wait, the colder those muscles get and the harder it will be to get going again. YOU CAN DO THIS! If I can do 10 minutes on the elliptical with massive, incurable muscle pain, you can read your Bible for 15 minutes a day. Join me in the journey of spiritual exercise, won't you?! P.S. I was doing 30 minutes on the treadmill but I get a much better workout doing 10 on the elliptical. Quality and consistency is a much more important than quantity. I'm a Pastor's wife, mother of 3 children, writer, speaker, and founder of Anointed Beauty. God has richly blessed my life, beginning with the gift of my salvation through His Son Jesus Christ. My goal is to spread hope through the gospel of Christ to a lost and dying world and also to inspire Christian women to become all that God has created them to be. 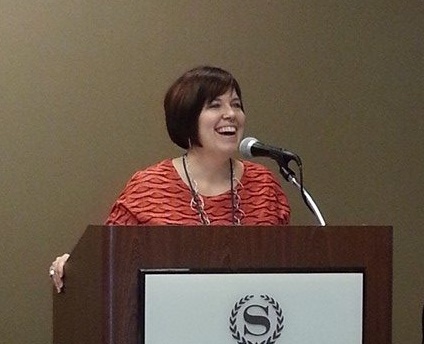 Need a Speaker for Your Next Ladies Event?